BMW’s are vehicles that turn heads. Their traditional yet attractive style makes them desirable by drivers of all ages, as does their outstanding handling and performance. Your BMW is special, and it deserves the special care that the expert BMW repair mechanics here at Baldwin’s German Autowerks provide! Our expert BMW repair mechanics keep your car in top shape. At Baldwin’s German Autowerks, our dedication to detail is evident. We have been providing high quality BMW repairs in Novato, CA and the surrounding Belvedere, Tiburon and Marin County communities since 1989! Our mechanics are highly trained, ASE Certified Technicians and have the skills and state-of-the-art diagnostic equipment to properly service and repair all models and years of BMW vehicles. Because we specialize in BMW service and repair, we have access to authentic BMW parts and products to make sure your automobile is running its best. In addition, we guarantee your BMW repairs with a 36 month/36,000 mile warranty on parts! 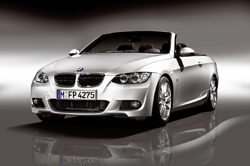 Convenient, top quality BMW repair services for Novato, Belvedere, & Tiburon! Our friendly team of automotive professionals truly cares about you and your BMW, and is devoted to helping you have the best BMW repair experience in Novato, Belvedere, Tiburon and Marin County! For your convenience we provide a free local shuttle service to get you where you need to go. We also offer complimentary Wi-Fi Internet in our comfortable waiting area, and have loaner cars available for longer auto repair services. At Baldwin’s German Autowerks there no job that’s too big, we’re happy to help you with all of your BMW repair and maintenance service needs!